Route 32, the main road connecting the capital, San José, with the Caribbean province of Limón, will close for six hours both on Thursday and Friday. The Public Works and Transport Ministry (MOPT) reported Tuesday that from 8 a.m. – 2 p.m. on both days Traffic Police officials will block all traffic between San José and Río Frío. During the closures, MOPT staff will perform maintenance work on the highly transited road. “We will work on this schedule to take advantage of the hours with better visibility in this area, which is usually affected by rain and fog,” the ministry said in a news release. Crews will also fix bumps along a 30-kilometer stretch of the road. The MOPT plans to perform repair and demarcation work on other sections of Route 32 in coming weeks. 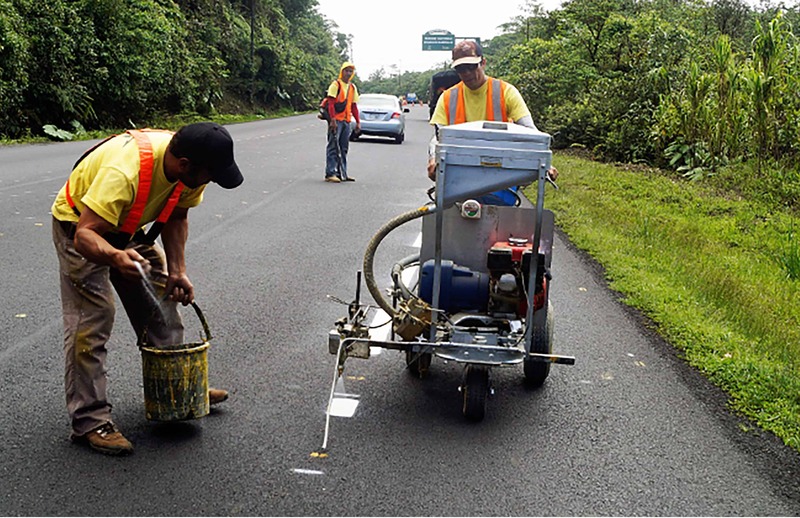 Motorists needing to travel between Limón and the Central Valley during closure hours should take alternate routes such as Route 10 through Turrialba, in Cartago. Another option is Route 126 through Vara Blanca, in Heredia, although semi-trailers, buses and other large vehicles are not allowed to use that road. According to data from the Costa Rican Chamber of Exporters, 80 percent of the country’s exports leave the country through Caribbean ports. MOPT data state that an average of 14,000 vehicles transit Route 32 every day, many of them cargo trucks carrying export and import products, and also a large number of tourists.